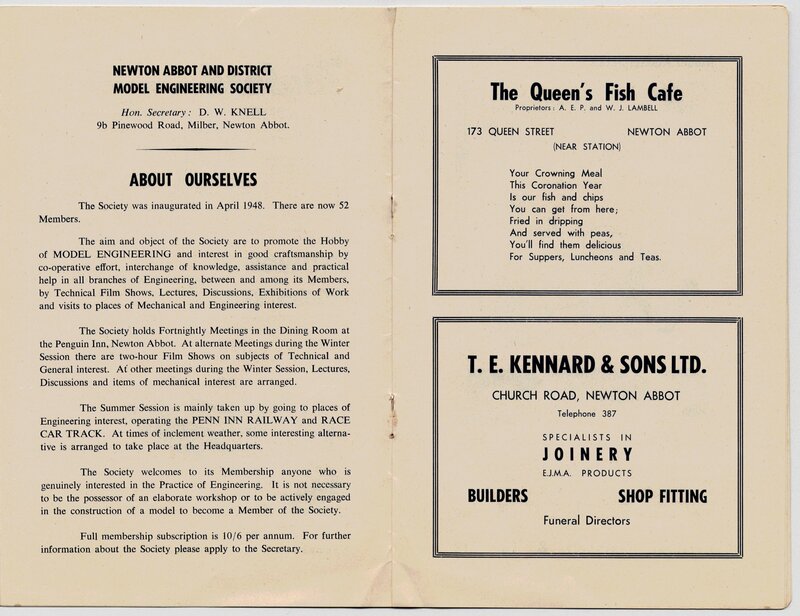 As part of the celebration, the Society produced a 16 page Coronation Souvenir Programme to mark the Official opening of the Penn Inn Miniature Railway; at the princely price of 6 old pence. 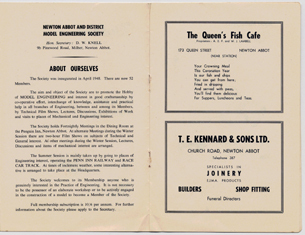 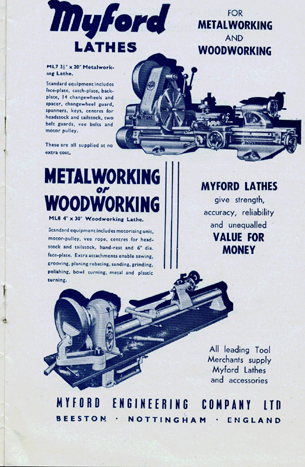 Printed on glossy paper, with advertisements of local shops, some of which still survive; this shows the forward looking attitude of the early club, and local support it found. 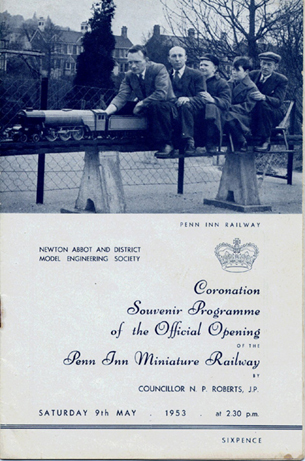 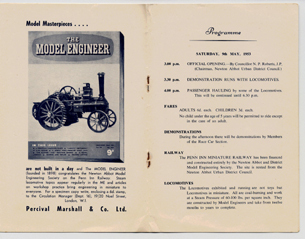 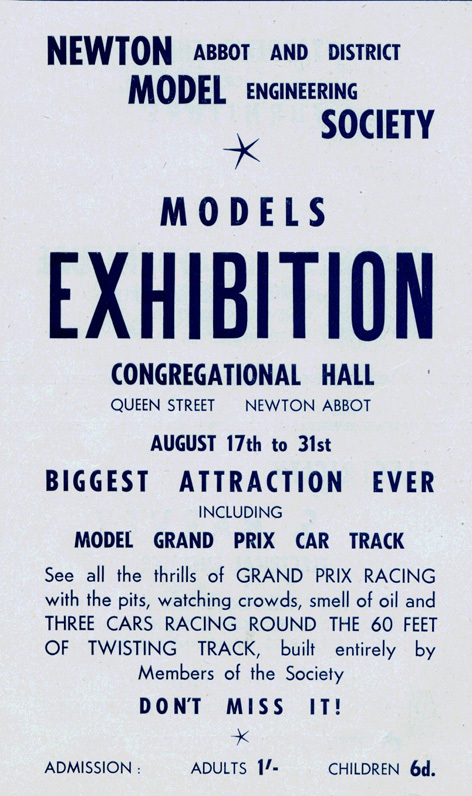 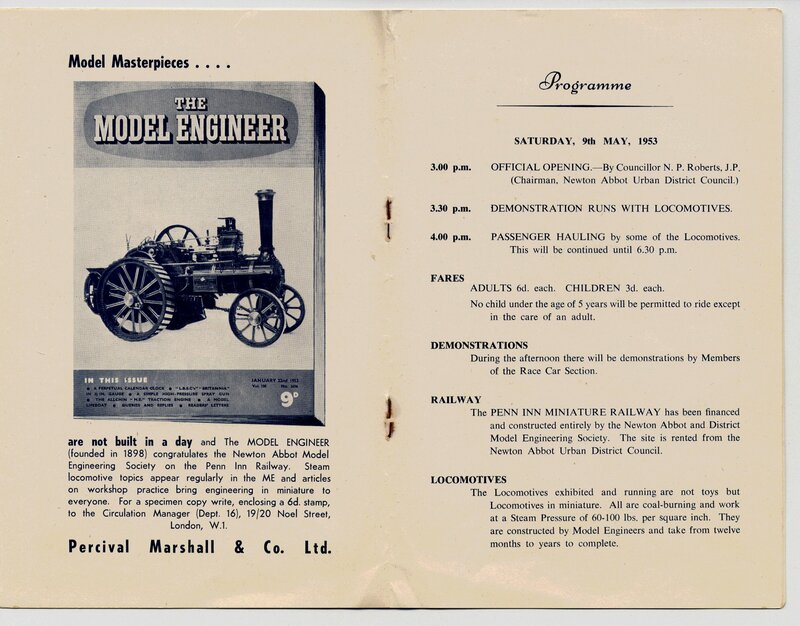 Click for enlarged views of the Official 1953 Track Opening programme, which includes the Cover, the Afternoon programme, and an advert for the 1953 Exhibition.